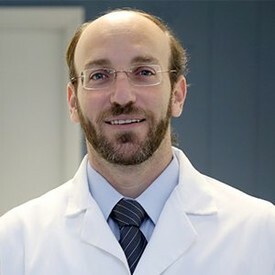 A native of South Florida, Dr. Neil Friedman received his Bachelor’s degree from Yeshiva University in New York City and his DMD degree from the New Jersey Dental School. 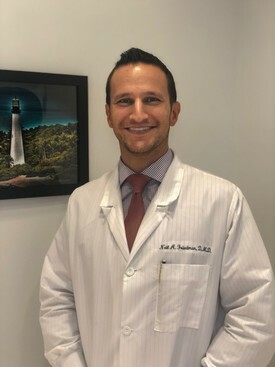 After graduation, Dr. Friedman passed both the Northeast Regional Board Examination as well as the Florida Board Examination, and returned home to serve his community’s dental needs. In his Key Biscayne practice Dr. Friedman performs a wide-range of dental services that he enjoys, from dental fillings to complex implant, restorative, and cosmetic cases. Having devoted countless hours to treating children and adults, Dr. Friedman is an expert at putting patients of all ages at ease. As a health care provider, nothing brings him more satisfaction than formulating a treatment plan uniquely tailored to each patient’s optimum oral and systemic health. Dr. Friedman is an active member of the American Dental Association, Florida Dental Association, and South Florida District Dental Association. Dr. Friedman currently lives in Miami Beach with his wife and three daughters. Dr. Steven Berkowitz is a Board Certified Periodontist specializing in treatment of gum disease, cosmetic gum treatments, and replacing missing teeth with dental implants. A practicing dentist for the past eight years, Dr. Berkowitz takes great pride in his work – and great care of his patients. An alumnus of Towson University in Maryland, he obtained his Doctor of Dental Surgery degree from the University of Maryland at Baltimore. Dr. Berkowitz remained at UMB to pursue postgraduate studies in periodontics and earned a Master of Science. A member of the American Dental Association, the American Academy of Periodontics, and the Academy of Osseointegration, he has been honored with awards from the Northeast Society of Periodontics and the International College of Dentists. Dr. Berkowitz has lectured on the importance of periodontal health, cosmetic smile enhancement, and dental implants. Dr. Berkowitz enjoys spending time with his wife, Risa, and their children. When he’s not at the office, he can often be found out on the tennis court or off playing his guitar.